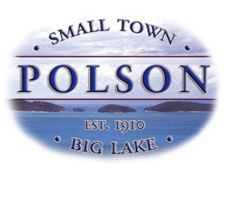 The Polson Business Community invites you to participate in the 20th annual Polson Main Street Flathead Cherry Festival. We are proud to note that this two-day event has been recognized among the top five MUST SEE tourism attractions in the state. This year's event will be held Saturday & Sunday, July 20 and 21. You are encouraged to book hotel rooms early, as July is always a busy month. THIS IS A TWO-DAY EVENT AND VENDORS MUST ATTEND BOTH DAYS. Except for emergencies, failure to attend both days forfeits participation the following year. Advance set-up: Friday, July 19 - after 7 p.m.
Set-up: Saturday July 20 - 6:30 a.m. – All vehicles must be off the streets by 9 a.m.
Saturday Hours: 9 a.m. – 6 p.m. Streets will remain closed that night with security. Sunday Hours: 10 a.m. – 4 p.m. All vendors must agree to be present during these hours. 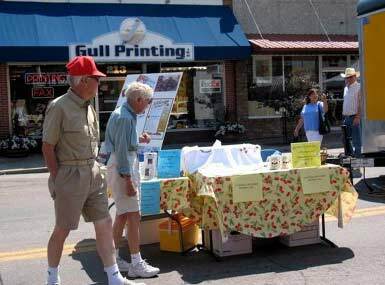 Please note: Vendors selling cherry food, beverages, or desserts must use Flathead cherries. To help with this process we can refer our vendors to a source for Flathead cherries.